The comfortable EMU Australia Talia is a women’s moccasin slipper with stitched piping over the toe for a clean and contemporary new look. 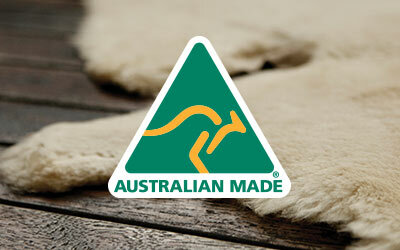 Made with soft suede, they are lined with fluffy Australian Sheepskin for complete comfort. Indoor and outdoor wear is possible thanks to the durable, flexible gum rubber outsole delivering grip and traction. Premium suede is paired with luxurious, natural Australian sheepskin, to create the clean and simple women's Talia PL moccasin slipper. Built on a durable gum rubber outsole that can be worn inside and out, they are lined with Australian sheepskin to keep feet warm and comfortable. Available in Chestnut, Charcoal and Black, these are the modern moccasin. Talia PL is rated 4.9 out of 5 by 8. Rated 4 out of 5 by CCL2 from Tahlia slipper - moccasin without stitches Big fan of the Emu brand and have bought both on line and in stores over the past eight years. Some styles are made in China, others are made in their Geelong factory in Australia. 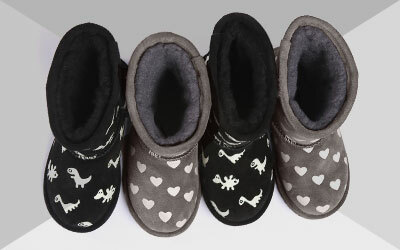 Boots are a wider fit than slippers and you can’t buy the same size in both. There are no half sizes so you need to go up a size in slippers. I take an 8.5 shoe and I buy an 8 Emu boot and a 9 Emu slipper. Having bought a few pairs of Emu moccasin style slippers, and had to repair the external stitching at the big toe over time, I was pleased the see the Tahlia has a stitched piping to add an extra layer of strength. They are a slim fit and feel firm til the fleece packs down to your foot shape. I wear a pink dressing gown and the mushroom colour looks so much better than my last black pair! Rated 5 out of 5 by Cpc5 from Great summer or winter I have have neuropathy in my feet and these are so comfortable on my feet. I put them on as soon as I walk in the door after work. Rated 5 out of 5 by sassa from Very good quality slippers I LOVE my new slippers. Warm and cosy. They look expensive and have been beautifully made. I like the colour and I slip them on for pure comfort. I am very happy with them and would highly recommend them to others. Rated 5 out of 5 by Goldilocks from Great footwarmers. I bought a pair of these last year. They were excellent. About to go to hospital so thought a new pair would be in order. Went back for the same but different colour. Rated 5 out of 5 by Aflury1 from Great warm moccasins I bought the moccasins for my mom to wear them at work, as it is always cold there in winter. The moccassins are very warm, bequem, fluffy and stylish! Rated 5 out of 5 by Shaz Dawg from Excellent service I ordered online for my Mum and Mother-in-law for Mothers Day and they both loved their new slippers. Thank you for the prompt delivery. Rated 5 out of 5 by Myrtle from Sooo comfortable! The slippers were a gift...and the recipient is thrilled with them. A great success, a great purchase.